Matryoshka, or Russian nesting dolls, were born in 1890 in a children’s educational workshop near Moscow. The workshop was developed by Sava Mamontov, an industrialist and patron of the arts. Mamontov was one of the first to patronize artists with a passion for creating a new Russian style. At a workshop meeting, someone showed the group a Japanese figurine with smaller figurines nested inside it. It is believed that this first nesting doll was made by a Russian Monk on of Island Honshu. The artists loved the idea of nesting dolls and began creating them. In 1900, Mamontov’s wife presented the Matryoshka dolls at the World Exhibition in Paris and earned a bronze medal. 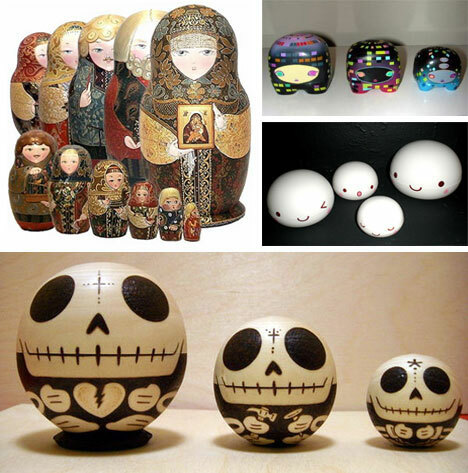 The dolls became very popular and soon many artists in Russia were making Matryoshka dolls. 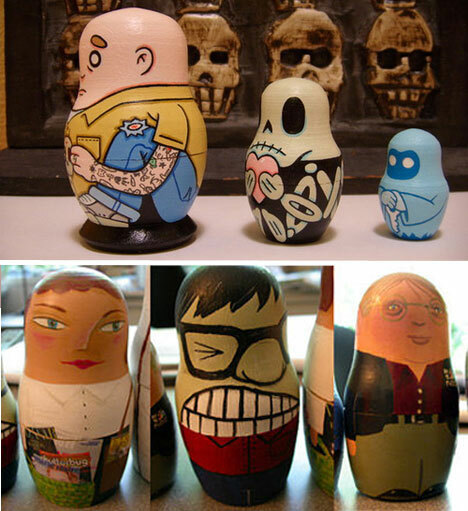 Nesting dolls are now popular with artists and collectors around the world. They are made in many styles and there are large differences in their size. 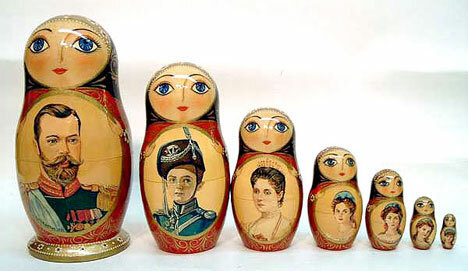 While the individual dolls in a set always graduate in size to enable nesting, the size of an individual set of Matryoshka dolls varies greatly. Some can be extremely large, while others graduate down to a most minuscule doll in the center. 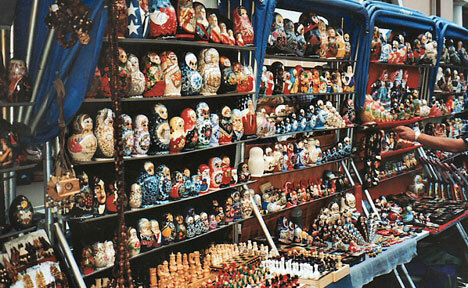 Size and style are a matter of personal preference, and most collectors enjoy a very varied display of nesting dolls. The love for Matryoshka has not stopped with collectible dolls. The shape, style and concept of nesting dolls has crossed over into home decor. This home audio system mimics the general shape and size graduation of Matryoshka dolls. 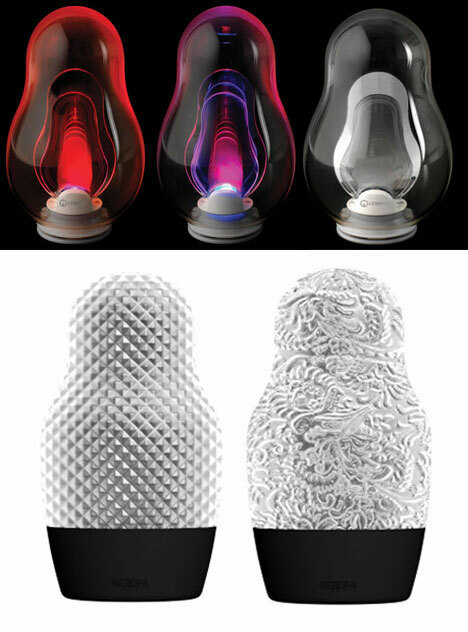 Nesting lighting fixtures and bulbs have also proven stylish enough to make it into even the most refined home decor. 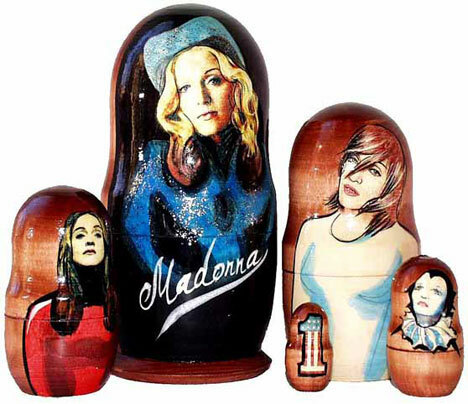 Pop icons are often featured on sets of Russian nesting dolls. 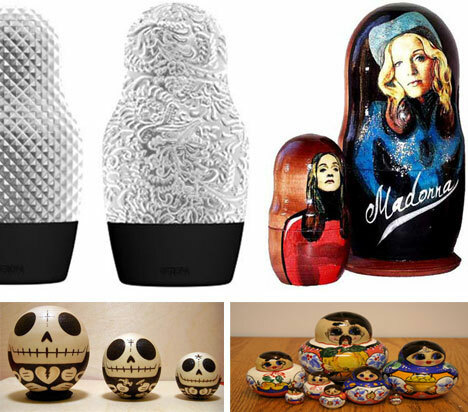 Individuals such as Madonna and David Bowie who have been icons for decades lend themselves well to the Matryoshka concept, as they have changed enough over the years to inspire a unique design for each doll. 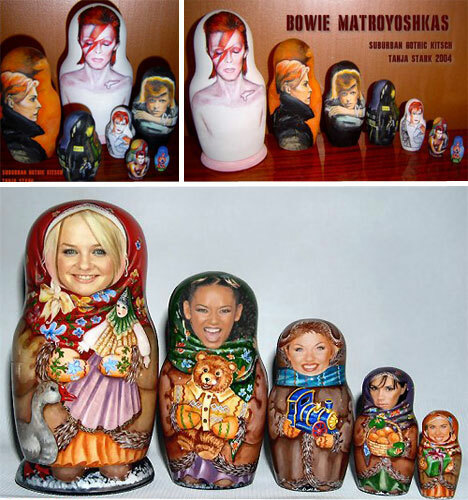 Band members and vocal groups, such as the Spice Girls, have also lent their likenesses to sets of Russian nesting dolls. For generations, families have constructed Russian nesting dolls to record family lineage or family portraits. 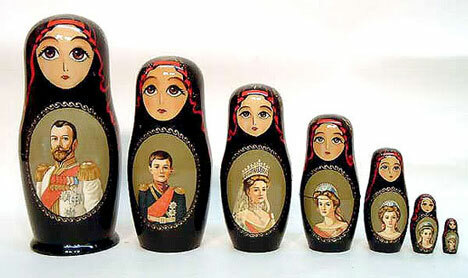 Many versions of the Russian Imperial Family nesting dolls have been created. 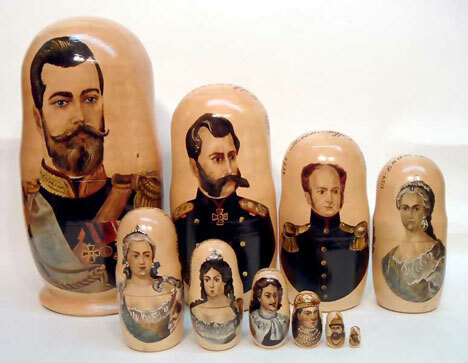 Other not-so-famous families have also used Matryoshka dolls to create a unique type of family portrait. 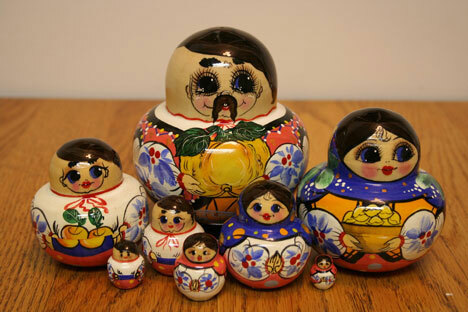 Since the number of dolls in a set is variable, Russian nesting dolls are easily customizable.